The Drill to Detail Podcast is written and produced Mark Rittman, a two-times founder of analytics consultancies and long-term developer, architect and consultant working in the data, analytics, data warehousing and big data industry. I've worked for almost 20 years in the business intelligence, data warehousing and most recently big data analytics industry first as a consultant, then as an entrepreneur building and then selling my own consulting company, then a brief two-year period as a product manager responsible for the analytics features in a tech startup and then most recently, founder and CEO of my latest consultancy, MJR Analytics. Although either myself or my company may belong to various vendor partner and developer programs, all content and opinions on expressed on the Drill to Detail Podcast are my own; Drill to Detail is my contribution to the analytics community and I hope the episodes are educational, useful and informative. I try and post a new episode every two weeks during each series, and we’re now on episode 60 and series 3 - thanks to all the great guests who’ve been on the show so far. You can contact me at mark@rittman.co.uk about this podcast or mark.rittman@mjr-analytics.com for any consultancy-related questions, view my LinkedIn Profile and follow me on Twitter. 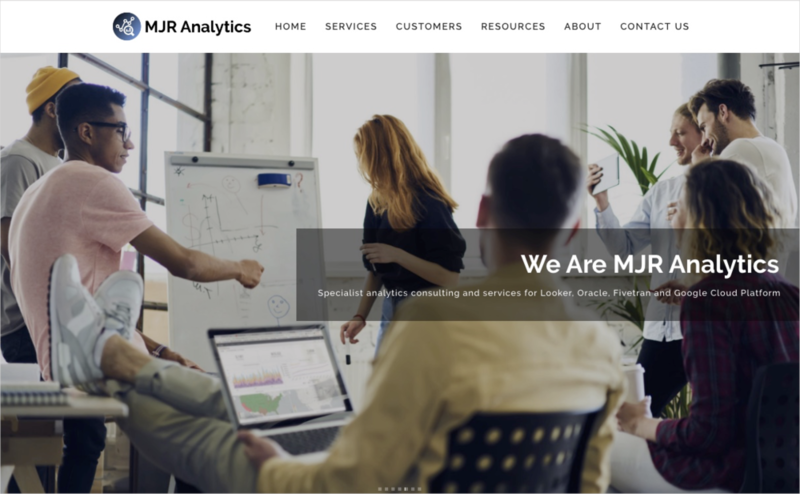 The Drill to Detail Podcast is presented by MJR Analytics, a specialist analytics consultancy that enables clients to increase sales, serve customers better and run their operations more efficiently using software from Looker, Oracle, Segment, Fivetran, Qubit and Snowflake. Typically working with clients in the eCommerce, technology, finance and internet startup verticals and bringing twenty years of database, analytics and data integration consulting and managed services experience to our engagements, our aim is for 100% client satisfaction and reference-ability on every engagement - check our our Customers page to see the value we’ve delivered since our launch in 2018.